The arrival of transformational technology. Sensing, thinking, remembering. Transform to keep up. The internet of change. Practical applications. Room to grow. Oracle and IoT. A truly intelligent innovation. Disrupting multiple industries. Slow to start. Oracle and machine learning. The building blocks of future data. The possibilites of blockchain. Getting started. Oracle and blockchain. Technologies transform better together. Technology combined. Industrial transformation. Transformational technologies now. Revolutionize your business with Internet of Things, artificial intelligence, and blockchain. Technologies are always emerging, with the power to revolutionize how we do things. Different innovations have varying impacts, but now three technologies are set to transform the world. Technology has always shaped and transformed the way we live and work. As technologies develop, new opportunities emerge to change the way we do things—from how we run our businesses, to how we communicate, make purchases, spend our leisure time, and live our lives. In this ebook, we’ll explore these transformational technologies in detail, outlining their benefits and capabilities. And we’ll show how—when it comes to keeping up with cloud-native competitors—there’s no time to waste in embracing these new innovations. Finally, we’ll discuss how Oracle can help you transform your business with IoT, AI, and blockchain in the cloud today. We’ve seen transformational technologies before. The personal computer. The internet. Mobile devices. Now, IoT, AI, and blockchain have the power to radically change the world—from how we communicate to how we live, and how our businesses operate. The arrival of transformational technology. New technologies have always enabled us to do new things. However, because they have generally come along in isolation, they have been easier to adopt and exploit. Now, multiple innovations are emerging at once—from 3D printing to virtual and augmented reality, among others. While all of these technologies present exciting opportunities, there are three that are accelerating change much faster and in more exciting ways than we’ve ever experienced. IoT, AI, and blockchain are transforming everything from city infrastructure to transport, home entertainment, financial transactions, manufacturing, data protection, and many others. To understand these three transformational technologies, it helps to think of them as interconnected organic processes. IoT is like your nervous system, sensing the world by collecting and transmitting data via billions of connected devices around the world. AI is like your brain, analyzing all of that data and using it to think and make decisions, or perform actions that only humans could previously carry out. And blockchain is like your memory, creating a secure, indelible record of transactions and data exchanges. While they’re highly powerful in their own right, when used together, IoT, AI, and blockchain become truly transformative. By harnessing all three, you can radically streamline and enhance existing processes. You can create new products and services for a generation of digitally experienced consumers. You can use insights to improve customer experience and make more-informed decisions. And you can drive your business to new levels of success. The capabilities of IoT, AI, and blockchain are so powerful that they require a shift in the way you run your business. Transformation is no longer a once-in-a-lifetime change, nor is it about simply adapting your organization to work with one new technology. In this new digital world, technological disruption has become a constant process of evolution, and only those that keep pace with the latest developments will succeed. It’s also important to remember that many of your competitors are already using these emerging technologies to gain an advantage. So the question is not whether you’ll start embracing them, but when. Because the longer you leave it, the more opportunities your competitors have to move ahead. From smart watches to personal home assistants, IoT is already making an impact on the world. But as the technology develops and becomes more widely used, what effect will it have on different industries? IoT is the central nervous system, using billions of sensors to collect and transmit huge volumes of data. Practically anything can be equipped with a sensor to gather data—all of which can be viewed in real time, enabling faster, better-informed decisions. IoT is already being used to make improvements in a number of industries, from the public sector to manufacturing, transportation, automotive, consumer goods, and healthcare. It’s estimated that by 2020, there will be 20.4 billion IoT devices in circulation,2 generating in excess of 14 zettabytes of data every year.3 But while there is clearly huge potential in IoT, there’s also a long way to go before industries fully embrace the possibilities of this new technology. Up to now, IoT projects have been costly and difficult to implement, meaning only a fraction of the available data is currently being analyzed and put to practical use. Delivers a commanding view of factories, machines, and products. 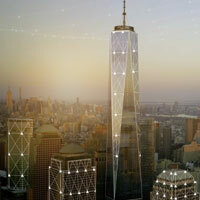 Provides real-time insights from connected assets. Tracks and manages connected vehicles. Provides real-time visibility of worker health, location, and work environments. All of these applications are designed to work with our SaaS applications, including enterprise resource management (ERP), supply chain management (SCM), human capital management (HCM), and others. You can also build your own custom apps or services, using our powerful, integrated cloud platform. Plus, you have the choice of deployment models: in the public cloud, or Oracle Cloud at Customer—the power of the public cloud in your data center. 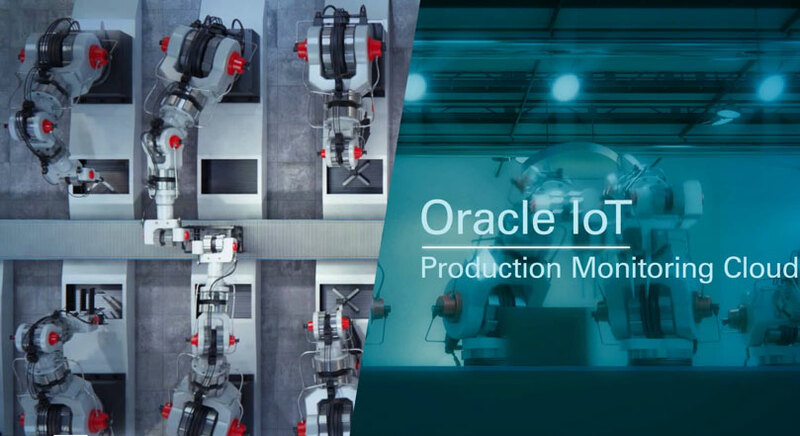 See how Oracle Production Monitoring Cloud enables production managers to monitor equipment health through IoT, and address issues before they affect production. With the ability to make sense of the world’s data, and carry out multiple functions without human input, AI is already having a huge impact on the world. But how widespread will its effects be felt? If IoT is the nervous system sensing the world, AI is the brain that enables us to analyze and better understand it. And within the broad field of AI, machine learning is set to make the greatest impact. By analyzing massive amounts of data, it enables faster, more-informed decision-making—either in support or in place of human thinking. It can also be used to carry out mundane tasks that would generally require human intervention, or those that are too complicated for people to undertake. 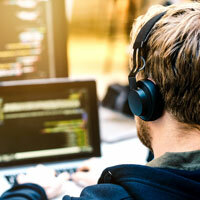 The telecommunications industry can use machine learning to identify and address network faults. Financial institutions can use it to accurately detect fraud. AI-powered customer service chatbots can react to people faster and more efficiently than call center staff. And in the automotive industry, machine learning is making arguably its greatest impact, powering not only the brains behind autonomous vehicles, but also enabling smart-city transportation infrastructures. It’s hard to think of an industry that won’t benefit from machine learning, or a technology that has more potential for transformation. Machine learning is not just a futuristic concept—it’s already being used today, with the potential to be exploited in many other exciting, disruptive ways. 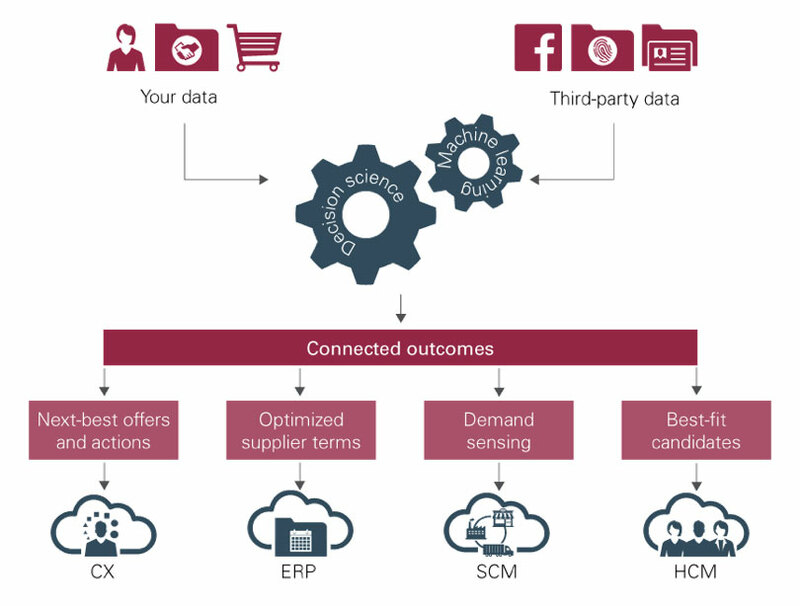 That’s why we have connected our core applications—ERP, SCM, and HCM—with ready-to-use machine learning capabilities. We call them adaptive intelligent applications, and together, they help to create the connected enterprise. We’re also building automation into our cloud platform services to create self-driving, self-securing databases, analytics, security, management, and more. And all of these applications can be easily accessed and used through Oracle Digital Assistant. 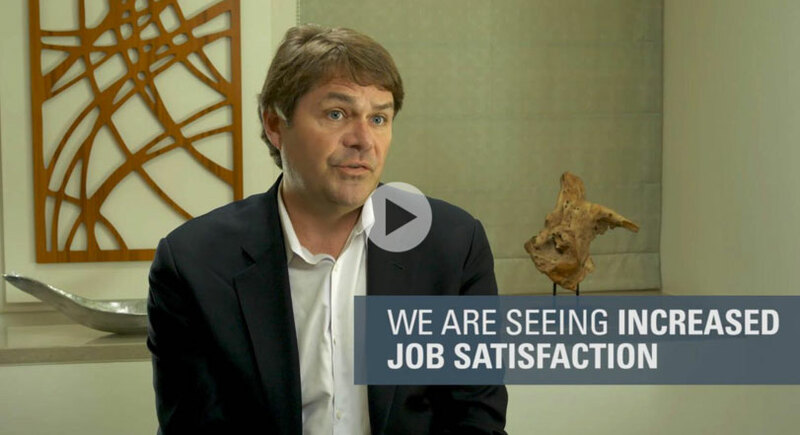 What really sets Oracle apart, however, is our data. To get the most out of machine learning, it needs to be enriched with large volumes of high-quality data. And we can give you access to huge volumes of it, thanks to Oracle Data Cloud—the world’s single largest marketplace of third-party data. Find out how UiPath is partnering with Oracle to apply machine learning and serve their customers better. It’s already enabled significant change in the financial world, but blockchain has the power to revolutionize data management in many other fields. Which industries stand to benefit most? The building blocks of future data. 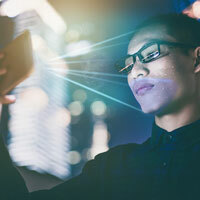 With IoT as the nervous system collecting data, and AI as the brain analyzing it, you need a way to ensure that transactions are securely processed and recorded. That’s where blockchain comes in. Known as the technology that underpins cryptocurrencies like Bitcoin, blockchain is the foundation of high-trust computing—bringing reliability, transparency, and security to data exchanges of all kinds. From financial transactions to contractual agreements, legal agreements, and changes of ownership, blockchain uses a decentralized, distributed, and shared digital ledger to ensure an unalterable record of every exchange. This removes the need for third-party intermediaries, enabling faster processes, real-time transaction visibility, and reduced costs. In education and research, blockchain can help to ensure intellectual property rights are upheld. And, of course, it’s at the very heart of the fintech revolution, enabling disruption in the financial landscape. The potential impact of blockchain is still largely untested—even on a theoretical level. And if it is to be truly explored and exploited, these barriers first need to be overcome. At Oracle, we want to make all transformational technologies powerfully simple to put to work. That’s why Oracle Blockchain Cloud Service is easy to implement, cost-effective, and capable of accelerating time to value while maintaining security and resilience. And before long, we’ll be embedding blockchain into our powerful suite of connected SaaS applications—including SCM and ERP—making blockchain even easier to use. 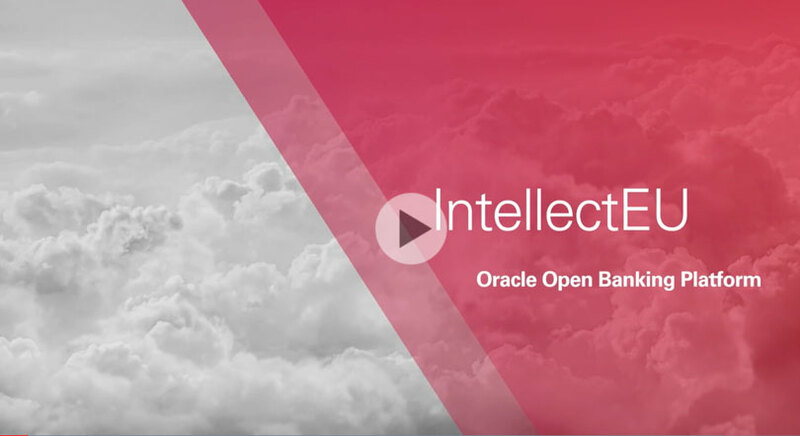 See how IntellectEU is partnering with Oracle to establish trust by creating new blockchain services. 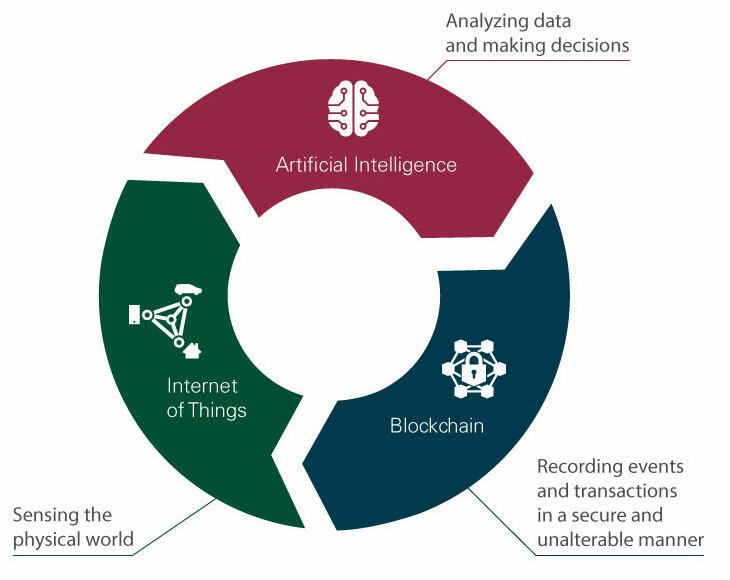 With IoT sensing the world, AI understanding it, and blockchain remembering everything, these three technologies offer a wealth of possibilities. But how powerful could they be when used in combination? As we’ve discussed, IoT, AI, and blockchain each have the power to radically disrupt numerous industries and change the way we do things. But combined, they go far beyond their individual capabilities, complementing each other to provide exponentially greater transformative possibilities. One good example is in the home. Currently, virtual assistants like Siri, Alexa, or Cortana are adept at responding to commands—for example, ordering products or recommending a playlist. Powered by transformational technology, however, they can be much more proactive. With all three technologies combined, that same assistant could use IoT data from your smart refrigerator to determine that you’re nearly out of milk. With machine learning, it could work out which retailers sell your preferred brand and who has it cheapest, then place an order for you. And with blockchain, it can ensure the transaction is processed securely and the correct item is delivered on time. Another big advance is in healthcare. Currently, patients decide when to see their doctor, and usually only when symptoms are showing. With transformational technology combined, patients could be fitted with IoT-enabled sensors or devices. Machine learning could monitor that data to determine if any irregularities arise. The patient’s virtual assistant could then cross-reference their calendar with their doctor’s and schedule an appointment. And when the patient arrives, the doctor could access an accurate digital medical history, secured by blockchain. While it may seem like a utopian vision of technological advancements to come, the truth is that these technologies are available today. And they’re ready to be put to work, transforming business, our professional and personal lives, and society as a whole. So, how can you make sure you keep up with the pace of change, and don’t fall behind your competitors? The answer is the cloud. Implementing these technologies is really only possible in the cloud. Not only that, cloud levels the playing field—ensuring smaller companies can access the same compute power and resources as larger organizations, and traditional businesses can operate with the same agility as startups. Cloud enables innovation, minimizes IT spend, and accelerates adoption of these three transformational technologies. The time to transform is now. At Oracle we’ve already integrated these technologies into our applications, and they’re all available with our SaaS offering. So you can start out at a level that suits you, then scale and implement new technologies as your business requires them.